· What are the main contact numbers? The school office is 01257 263454. You can contact the office by email on bursar@euxton.lancs.sch.uk or Mr Ward on head@euxton.lancs.sch.uk. · Is there an email newsletter? Yes, the majority of our parents receive it this way, although some paper copies are sent home. You will be asked your preference when your child starts school. · How do people sign up to the text messaging service? As soon as your child starts school we ask for a lead contact number for the text messages to be sent to. This is a great service and it has been very well received by parents. It gives you reminders about events and also lets you know if any clubs have needed to be cancelled. We don’t use this to inform you if your child is unwell or if we need to speak to you, don’t worry. A phone call is still used for this. The text message service is one-way; you cannot respond. · When are parent’s evenings? We have two formal Parents Evenings. The first is at the end of September and is used as an introductory two-way conversation between the teacher and parents. This is an opportunity to share information about your child and to see how they have settled in to their new class. The second meeting is in March and is more focused on academic achievement. Your child’s work will be available for you to look at. Following your child’s report being sent home in July there will be a further opportunity offered for an appointment with the teacher, if you so wish. · What do I need to do if my child is unwell? Who do I need to contact and when? Please contact the school office, by phone or email, before 9:00am. This is really important. You do not need to keep phoning each day but would appreciate you keeping in touch with us if the illness is prolonged. With cases of Sickness and Diarrhoea, we do insist that children are off school for at least 48 hours after their last episode. I am sure you understand the reasons for this; we do not want this to spread. · When is the school holiday date published and where can I find out this information? These are usually finalised in the Autumn term for the following year. These will be sent home as soon as possible after this, to allow you to plan ahead. The holiday dates are also posted on our website. Not at present. Important dates and times are included on the weekly newsletter and also on our ‘Future Events’ section of our website. · What are INSET days? School has to schedule five INSET days each year. These are days that children are not in school and are used for the development of staff. We try to add these on to holidays to make this easier for you, rather than random days in the week. · How do I pay for school trips? All payments are now via an online payment system called ParentPay. For the Y6 residential, which is a greater cost, you will be given a payment card, where you can pay off the amount over a given time. Our PTFA very kindly pay 25% of the coach cost for every trip, which reduces the cost. · How do you pay for the toast in the morning? Toast is 20p a day. This can be brought in each morning or £1 for the week, preferably paid on the Monday. Morning break is 10:30-10:45am and lunchtime is 12:00-1:00pm for all children. Afternoon play is staggered, with the Juniors from 2:15-2:30pm and the Infants from 2:30-2:45pm. · What snacks/drinks can be taken into school? Water bottles can be brought into school and these are encouraged. We do ask that the only drink in them is water. Our Reception class has their own water cooler. Toast can be bought during morning break. However if you would prefer to send your child in with an alternative then you are welcome to do so. We do encourage healthy snacks such as fruit or cereal bars, which do not include a lot of sugar. All Infant children are provided with a free piece of fruit each day. · What uniform do the children wear, including PE kit? A uniform list is included on our prospectus on our website. A reminder is given out at the beginning of each school year on our newsletter. You can buy the uniform from school. Some shops do provide this but we don’t advise this as the quality is not as good. Please note: PE kits remain in school, in a school PE bag on your child’s peg. They only need to go home each half-term for a wash.
· Sports day protocol – what colour t-shirt do they need and can they can take trainers in? The children can wear trainers. All the children need to wear a coloured t-shirt, depending on which house team they are in: Earth: green; Air: yellow; Fire: red or Water: blue. The children all know which team they are in. If children do not have a coloured t-shirt, they can wear their white PE top. · How do I pay for school meals and how do I know what the options are? The menus are produced each term using a 3-week rolling programme. These are shared with you. You can discuss at home with your child what they might choose that day. The cook tries her hardest to stick to the menus, but there may be occasions where it differs slightly. The cost is £2.30 per day and needs to be using ParentPay. The Infants receive a free school meal and we encourage you to take this up. · My child has a food allergy…who do I need to speak to and how will you ensure they don’t have food they are allergic to? Information such as this needs to be included on the induction form you send to us when your child starts school. You can arrange to meet with the school cook if you would like to, and also the Headteacher. The information is shared between the office and the school kitchen. The staff get to know the children really well so that the children only have the food they are able to eat. The staff room also has a medical needs board, which also includes photographs of the children. If the needs change at any time we do ask that you let us know as soon as possible. · What days are assembly? These are all at the start of the school day. · When can I come to assembly? Friday morning, at 9:00am, is traditionally our Superstar Worship, This is where the class superstar will be awarded their certificate and any Bronze, Silver or Gold Awards are given. You will be informed if this involves your child on the Friday before via a letter from the Headteacher. If your child has any achievements from outside of school then we love to present those to and you are very welcome to come along and share this special moment with us. This is also within the Friday worship, however if that day isn’t good for you then Rev. Ashton is more than happy for you to come along to his Tuesday morning Vicars Worship at 9:00am and will present it to your child then. · What are the green cards for and how does it work? What do different awards mean? Green cards are part of our reward system. The children can all work towards green cards, which are a reward for excellent behaviour, attitudes, work, etc. Each class does this slightly differently, depending on their age, but will explain this to the children at the start of the year. Green cards are then exchanged for stickers which are placed in each child’s reward booklet. When children have accumulated 10 stickers they achieve their Bronze Award; 25 is Silver and Gold (very rare!) is 50. · What different clubs take place in school, what dates/times they take place and costs? These are organised ready for a September start and you will be informed which clubs are on offer, on which days and for which year groups. Some oversubscribed clubs may be offered on a termly basis, allowing more children to participate. School staff ran clubs are free of charge. Sometimes we have outside agencies providing out of school activities. These do have a charge and it will be up to you to decide whether you would like your child to be involved. · How do you get involved with the PFTA? You are all very welcome to attend our PTFA meetings, which will be advertised in the newsletter. These are usually at 7:30pm in school. If you can’t attend these you can still be involved in different ways. We may ask for volunteers, you may have suggestions. We try to allocate each Year group with a PTFA representative. · What is the ‘Bog-Eyed Jog’? This is an annual event organised by our PTFA. The children come to school in their PJ’s but bring their uniform with them to change into after the event. This starts at 8:00am and involves the children running a number of laps of our playground. They are then given breakfast in the hall before getting changed. There is a small charge for this and it raises money for our school. · When the children first start school, they don’t often tell us what they have been up to. How can we find out more? The Reception team go through a typical school day with parents at the new starters meeting and will also talk in general at the September parents meeting. Curriculum booklets are posted on the website each term, which gives you more information about what the children are learning about in school, and the class blogs on the website have photographs and information about life in Reception. These are sometimes tweeted too. 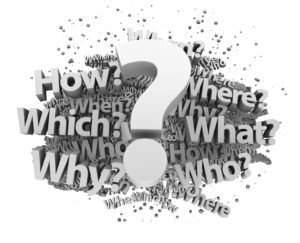 · What is ‘Wonderful Wedensday’ and what can they bring in for ‘Show and Tell’? Wonderful Wednesday is an afternoon dedicated to the children in the Infants. It is led by our wonderful team of support staff whilst the teachers have their PPA time. The children are involved in baking, sewing, crafts, art and PE during the afternoon, the timetable varying each half term. The children (and staff) very much enjoy this special time. Show and Tell is an opportunity for the child to bring in something that is important to them. This may be related to an interest of theirs, a photo of a special place or person, a special birthday gift, something from a holiday, etc. It isn’t about bringing in a general toy. The staff will explain this to the children.